Paying homage to the iconic Jesse Owens and Black History Month is the BHM adidas D Rose 6, which is available now at multiple retailers. The shoe features the number 773 on the tongue, Owens’ bib number during the 1936 Olympics, at which he won four gold medals. Before the accolades, Owens became the first African American male athlete to be sponsored by a brand, signing with the Adi Dassler helmed adidas. 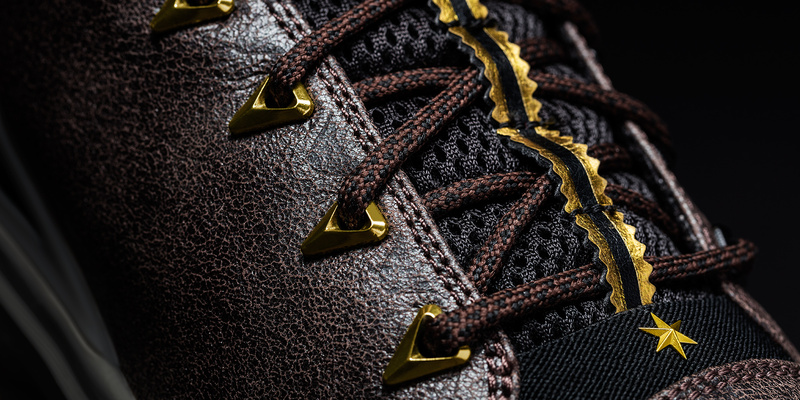 Other than the gold trims symbolizing the medals Owens won, this D Rose 6 features an aged tumbled leather on the upper, a material that was used on Owens’ cleats. Performance wise, you can also count on the Boost technology in the heel and forefoot to provide a bouncy feel on the court. 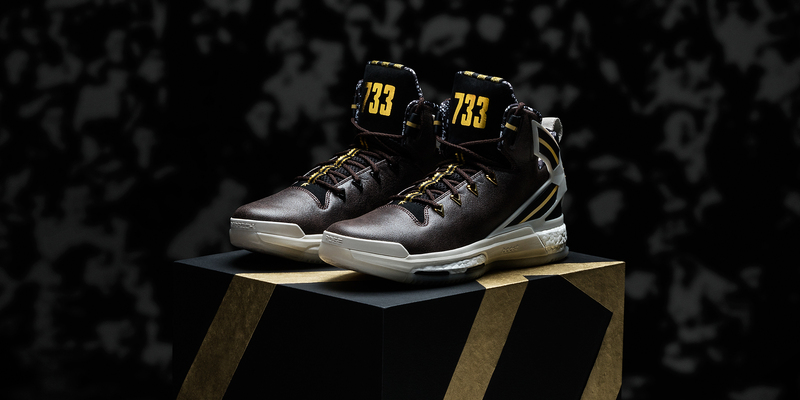 You can purchase the adidas D Rose 6 ‘Black History Month’ for $140 at the retailers below. Shoelander23 is a sneaker enthusiast and an aficionado of all things sports. Chat with him on the social media links below, as well as on Instagram: @Shoelander. Materials look awesome for these! The stable price point is the icing on the cake. Sorry to go off topic but is there any word or rumor of when the Black/White and Red/White mesh versions will be coming out? Thanks for always keeping the readers in the loop. Exactly! they’re nowhere to be found. Such a letdown. I too am interested in knowing when those were going to drop. The black mesh version was rumored to be releasing on 1/7 but none of the retailers had the shoe listed. They did have a black shoe listed for release on 1/15 but that has turned out to be the BHM shoe obviously. The red pair had a date of 2/7…Is that the release date for both pairs? Good point. I got excited when I saw the black release date too only to see closer to the date that it was the BHM. I’d love confirmation that they are actually going to make it to the states. That way, I’d just be patient and wait for them to finally get here. Otherwise, I see them on eBay from a reliable seller that I have purchased from many times before but I don’t want to overpay for them either. Hey man I went to my local flotation yesterday and they actually had the red mesh pair available for purchase…here’s hoping the black pair won’t be too far behind. Lastly I went to my local adidas outlet here in Chicago and found a pair of the Southside Lux on sale for 60 bucks…full size run too as they had my size 13 available. Wonder how the quality is on that tumbled leather. The Chinese New Year version had a very soft type of material for the upper, I think softer than the other materials they used in other colorways. Thanks for the heads up man. I’ve seen the black pair on eBay already but I am trying to wait it out for them to come to the States. That’s the pair that I’m really looking forward to but I kind of want to try them on locally to get my size right. I’d hate to order from overseas and they’re way too big. Anyone tried the Xenos? Hows the fit? If the leather’s nice I’ll definitely pick up a pair of these. They look great. The xeno version of the rose 6 is awesome!!! Soft mesh upper. Best version of the rose 6 imo so far!!! I am a true 11.5 in pretty much everything and I bought an 11.5 and they fit perfect!!! Thanks for the info. That makes it easier for me to order online. I appreciate it. 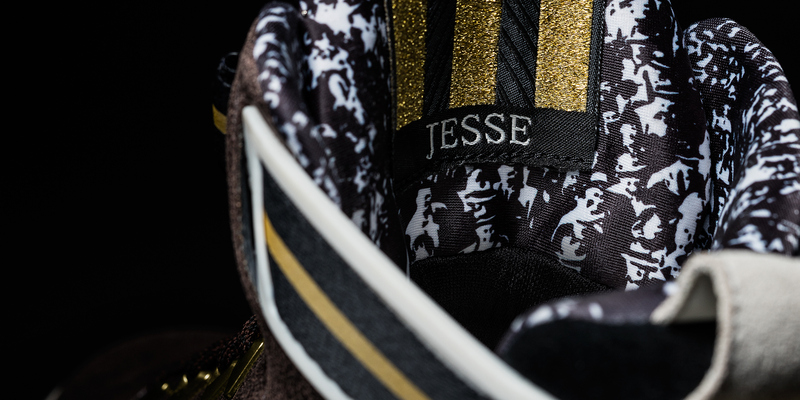 One thing about the BHM’s is that the leather is more brown than it is black.